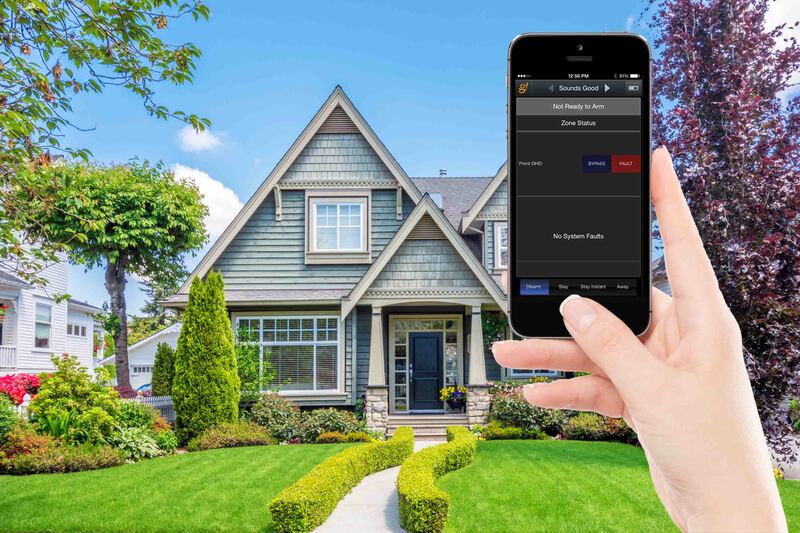 It's a well-known fact that homes with bad security are much harder to sell, and while smart security homes used to be limited to the wealthy, they are becoming much more commonplace. Today's home buyers want spacious homes with amenities, but smart security features can make the difference between an interested home seeker and one that makes a solid offer. Smart security homes are valued for more than merely safety. Buyers favor smart security because of the convenience. These systems have already been implemented by the previous owner. The next inhabitant merely has to sync up a smartphone with the system. This is the type of “turn key” setup contemporary home buyers crave, especially those in the millennial age group. Younger Americans desire the ability to monitor and control their home's security and energy features directly from their smartphones or workplace computer. Today's technology empowers homeowners to control their smoke detectors, door locks, garages, lights, air conditioning, heating and other features right from their mobile devices. If a home doesn't have this technology built in, a seller will be at a considerable disadvantage. If you make high-tech home security a central component of your home, there is no doubt that it will eventually pay off across posterity. While it might come as a surprise to some, one of the first questions that modern home seekers ask is, “How smart is the home?” This is a recent phenomenon that has only become a priority in the last few years, especially amongst younger buyers. If your home lacks updated technology that can't be controlled by a tablet, smartphone, or other electronic devices, you might have to wait an extra six months (or longer) to get the home purchase offer you desire. Think beyond how this remarkable technology can protect your family, living space and valuables. Consider how it will ameliorate your home sale process. A smart secure system really is central to your sales pitch. Put yourself in the position of the next wave of home buyers. Millennials. Technology addicts demand all the latest tech controlled amenities, and according to a new report represent 32% of the market. If your home lacks such a smart security system, you might not be able to attract buyers between the ages of 20 and 35. That's a significant competitive disadvantage. Furthermore, an energy efficient home is especially attractive to potential buyers. It's very easy to upsell a home's existing energy services. From digital thermostats to heating and cooling management via smartphone, energy efficiency is all the rage. About 80% of respondents surveyed regarding home energy efficiency state that HVAC heating/cooling management is one of the top features for reducing utility bills. Half of those surveyed stated that it is the most important feature. Of first-time home buyers between the ages of 35 and 44, 80% are interested in HVAC management. It's all about ease of control with smart thermostats, smoke detectors, and other smart home devices. Smart security is fast catching up. Add these into your home and you'll find that it is much easier to sell for the price you desire. Even if you don't plan on living in your home much longer, it is still prudent to install a smart security system. You'll get most of the money back as you'll be able to hike the home's listing price. Perhaps more importantly, you'll be able to exit the home on your planned timetable as homes equipped with smart features sell considerably faster than those without them. Furthermore, the installation of smart security will give you a taste of what life is like with home control at your fingertips. This way, you can test out smart security to determine if it's something you'd like in your next home.